We generally use two grout and silicones manufacturers: TM and Mapei. 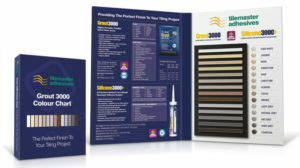 The TM 3000 is a premium, highly versatile, flexible, fast setting wall and floor grout, specially formulated using carefully selected cements and additives, to produce a smooth and controlled workability. Grout flexibility makes it suitable for use in a wide range of applications, including for use on surfaces subject to limited movement and/or vibration such as plywood overlay and underfloor heating systems. Our grout is suitable for grouting joints in wall and floor tiles between 2mm – 15mm wide. It has a very low water permeability making it ideal for areas subject to prolonged or permanent wet conditions such as wet rooms and swimming pools. Grout can be used internally and externally and it is unaffected by frost after setting. Silicones are available in matching colours. PLEASE NOTE: The color may look different depending on your screen calibration. MAPEI is a world leader in the production of grouts, sealants and adhesives you will find a wide range of high quality products available to complement your project. Provides a watertight, chemically resistant grout joint within a range of tiled finishes including ceramic, porcelain and quarry tiles. Ideal for use on kitchen worktops, commercial kitchens, schools and hospitals where cleanliness and hygiene are important factors. Can be used in interior or exterior applications and is ideal for swimming pools and balconies. Two component epoxy resin grout for joint widths from 3 mm. Easy to clean, highly functional epoxy resin grout based on advanced colorant technology. Ideal for use in swimming pools, showers, steam rooms, saunas, spa baths and leisure complexes with a complementary range of colours. Provides an hygienic, chemically resistant grout easy to maintain in a clean, pristine condition. Suitable for joints from 2 mm. For interior or exterior use with ceramic, porcelain, glass and natural stone tiles / mosaics. 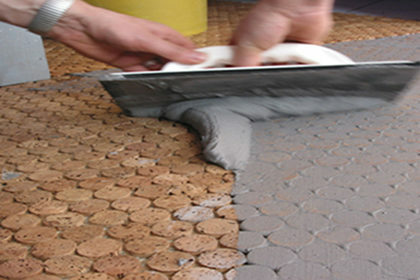 Highly decorative, satin finish epoxy resin grout available in a range of attractive colours. Can be mixed with Mapeglitter for stunning effects. 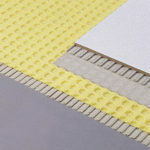 Can be used as an adhesive being particularly effective with translucent glass mosaics allowing the adhesive colour to enhance the aesthetic appeal of the installation. 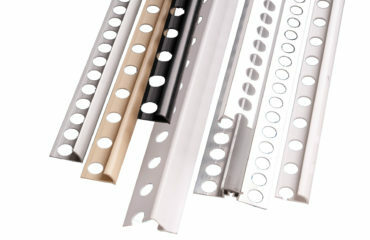 Highly decorative in swimming pools and showers. Also suitable for use with ceramic, porcelain and natural stone tiles / mosaics. Provides an hygienic joint resistant to a range of chemicals. Flexible, rapid setting, rapid curing highly modified grout with Drop Effect water repellent technology for reduced water absorption and dust pick-up, and Bio Block anti-mould technology. Ideal for use in interior or exterior applications as well as showers, swimming pools. 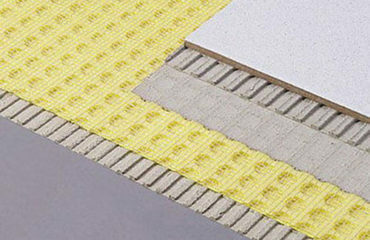 Can be used with tiles over timber substrates as well as with heated floor systems. Suitable for use with ceramic, porcelain, glass and natural stone tiles and mosaics. Not suitable with metallic mosaics. For joints widths from 2 to 20 mm. 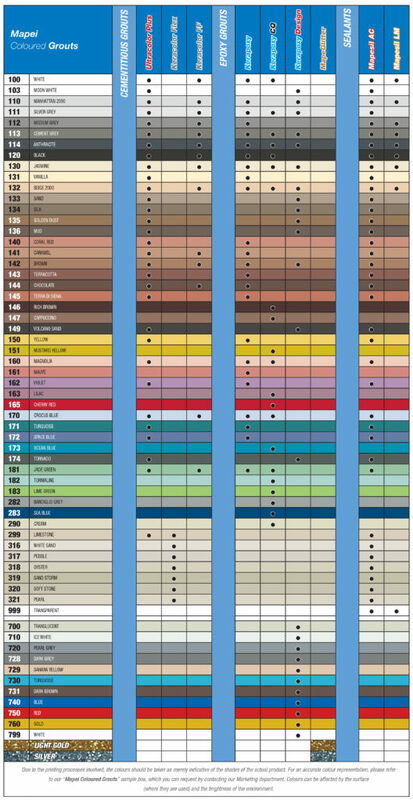 Keracolor Flex is a high performance, polymer enhanced cement-based grout, classified as CG2WA in accordance with BS EN 13888. Formulated as a standard setting, flexible grout, it can be used with a wide range of surface finishes, including ceramic, porcelain, natural stone, glass tiles and mosaics – both internally and externally. 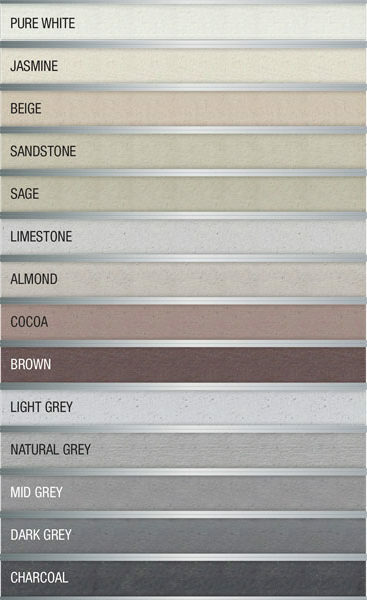 The low VOC product is available in seven natural contemporary shades and is suitable for grout joint widths from 1-6mm. Superfine grain cement-based grout for joint widths up to 4 mm. Suitable for use on floors or walls in interior or exterior installations with ceramic, porcelain and natural stone tiles. Ideal for grouting high gloss tiles and metallic mosaics with surfaces sensitive to scratching. For joint widths up to 4 mm. High performance fine grain grout with Drop Effect water repellent technology for reducing water absorption and dirt pick-up. Suitable for interior or exterior use with a range of ceramic, porcelain, glass and natural stone tiles and mosaics. Can be mixed with FUGOLASTIC for improved abrasion resistance and flexibility. 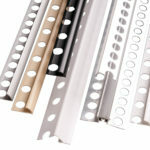 For joint widths up to 6 mm. Solvent free, acetic cross linking Silicone sealant. Elastic, waterproof and mould resistant. Available in a range of colours to complement Mapei grouts. For forming expansion joints and for general sealing within ceramic tiled installations. Suitable for use with ceramic, porcelain, glass tiles and mosaics.